Rio de Janeiro is the host of the XV edition of the Pan-American Games, and Athletics competitions will commence on 22 July and shall end on 29 July, on the second and final week of the Games. The track and field events will take place at the newly built “Estádio João Havelange”, near the Maracanã complex. The event’s history began in Buenos Aires, in 1951, and since then it has kept its 4-year periodicity and touched Mexico City (twice), Chicago, São Paulo, Winnipeg (twice), Cali, San Juan de Puerto Rico, Caracas, Indianapolis, Havana, Mar del Plata and Santo Domingo. The top entries in the men’s sprinting events are Bahamian Derrick Atkins (9.95), American Jordan Vaden at 200m (20.17) and Grenada’s Alleyne Francique. Trinidad and Tobago’s Darrel Brown emerges as the top challenger against Atkins in the short dash while at 200m Vaden will face Netherlands’s Antilles Churandy Martina, Cuban Michael Herrera and Jamaican Marvin Anderson. At 400m Francique will have a strong opposition in American Lionel Larry, Bahamian Christopher Brown and Canada’s Tyler Christopher. 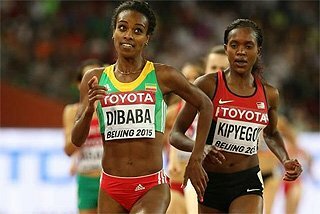 2007 American champion Khadevis Robinson will be the favourite at 800m, while compatriot Said Ahmed is so at 1500m. At the distance events, Mexican revelation Juan Luis Barrios, who has ran 13:11.37, is the top entry for the 5000m. 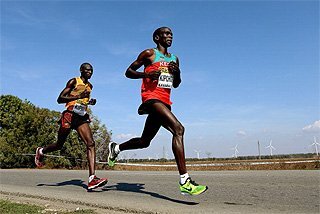 At 10,000m, 2006 New York City Marathon winner, Brazilian Marílson Gomes dos Santos, should animate a very even race along Mexicans José David Galván, Alejandro Suárez and American Jorge Torres. 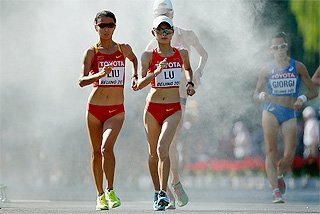 The Marathon could also be an open race. 2004 Olympic bronze medallist, Brazilian Vanderlei de Lima is the favourite after winning the event in Winnipeg ’99 and Santo Domingo ’03, but Mexicans Francisco Bautista and Procopio Franco could push the pace to make it a fast race which could be under the 2:12:43 Games record held by Puerto Rican Jorge González since 1983. Joshua McAdams, the fastest American of the season, is the top entry at 3000m Steeplechase, while Cuba’s Dayron Robles is so at 110m Hurdles, and American Kenneth Ferguson at 400m Hurdles. Besides Robles, the 110m Hurdles presents a high-quality field, with Americans Anwar Moore and David Payne, Cuban Yoel Hernández and Jamaican Maurice Wignall. 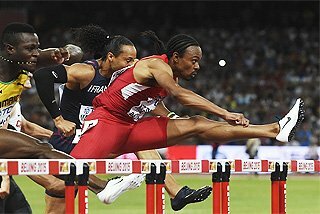 At 400m Hurdles, along with Ferguson, six other men have been able to run under 49 seconds. In that group is former 2001 and ’03 World champion and 2004 Olympic champion, and defending Games champion, Dominican Félix Sánchez, who is trying to regain his top form at the age of 29. 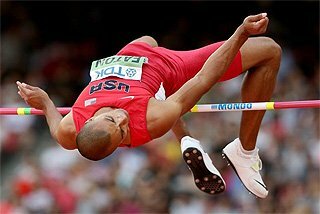 Panama’s Irving Saladino, the 2006 World Cup Long Jump champion is looking for the first Pan-Am Games title of his career (24 July), which would also give Panama its first gold medal ever at the Athletics competitions of the Games. Saladino will face American Brian Johnson, Brazilian Rogério Bispo and Cubans Wilfredo Martínez and Iván Pedroso. The 34year-old Pedroso is at the end of his career, but has won this competition in 1995, ’99 and ’03. The Triple Jump could also provide quality performances. 2007 World Leader, Brazilian Jadel Gregório has the best performance of the field, but Cubans Yoandri Betanzos and Osniel Tosca will be dangerous rivals, along with Grenada’s Randy Lewis and American Kenta Bell. All Long and Triple Jump gold medals have been historically distributed among the US, Cuba and Brazil. At the Pole Vault, Mexican Giovanni Lanaro is the top entry with 5.82m, but South American specialists, Brazilian Fábio Gomes da Silva and former IAAF World Junior and Youth Champion, Argentinean Germán Chiaraviglio, should present a strong rivalry. With a PB of 2.35m Bahamian Donald Thomas starts as the High Jump favourite (27 July). World Championships silver medallist, Cuban Víctor Moya, and Mexican Gerardo Martínez shall be his top opposition. After placing fifth at the 2007 US Championships and not making the national team for Osaka, Christian Cantwell is another 2007 World Lists leader who will compete in Rio. The 26 year-old has put the shot at 21.96m and is the clear favourite in spite of his fifth place at the US nationals with 20.10m. That fifth place left Cantwell out of the Osaka World Championships. On the field, four other men have performances over 20m: American Garrett Johnson, Canadian Dylan Armstrong, Jamaican Dorian Scott and Chilean Marco Antonio Verni. Americans Adam Kuehl and Michael Robertson are the throwers with best credentials in the Discus, while another American, A.G. Kruger, and Canadian James Steacy, shall dispute the Hammer title. Cuban record holder, Guillermo Martínez is the favourite at the Javelin, along with Canada’s Scott Russell. At the Decathlon, Jamaican Maurice Smith is the top entry along with Cuban revelation Leonel Suárez . In the Race Walking events, Ecuadorian legend Jefferson Pérez will go out in search of his third 20km Pan-American Games gold medal. The 33-year-old from Cuenca has announced that these Games will be his last. Those who could upset his triumph are Colombian Gustavo Restrepo and Costa Rican Allan García. At the 50km, Mexican Horacio Nava emerges as the candidate for the gold, with Ecuadorian Xavier Moreno as his main opposition. Cayman Islands Cydonie Mothersill is the top entry at 100m but the field seems to be very tight, with the presence of Americans Mikele Barber and Mechelle Lewis along with Taheshia Harrigan from the British Virgin Islands. At 200m, quality will not be a question either. Jamaican Sheri-Ann Brooks, Bahamian Debbie Ferguson-Mckenzie and Mothersill shall animate a great race. Mexican Ana Gabriela Guevara, 2003 World champion, will be the sentimental favourite at 400m in spite of not being able to run under 50 seconds this season. 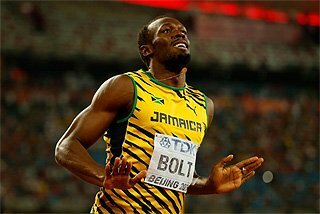 If winning, this will be Guevara’s third Games title at 400m. The top entries, along with the Mexican, are Americans Monique Henderson and Mary Wineberg and Bahamian Christine Amertil. 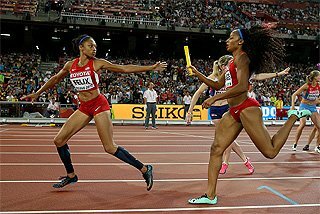 Jamaican Kenia Sinclair holds the fastest time at 800m and will try to profit from the absence of the 2005 World champion at the distance, Cuban Zulia Calatayud, who will only take part in the 4x400 relay. US champion Alysia Johnson will also be in contention for the gold, along with Guyana’s Marian Burnett and Canadian Diane Cummins. The 1500m could be an all-Canadian affair. Hilary Stellingwerff is the fastest of the season on the field, along with compatriot Carmen Douma-Hussar. Brazilian Juliana Paula Azevedo, wife of Marílson Gomes dos Santos, has made progresses up to 4:11.39 in 2007, and could be a dangerous rival. Mexican Nora Leticia Rocha will be among the favourites at 5000m and 10,000m. 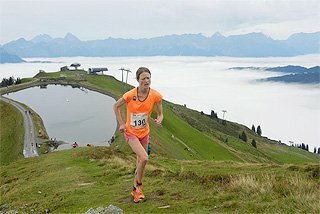 Rocha was fourth at 5000m in the Mt. SAC Relays meet in Walnut with 15:15.77, just beaten by 4/100 by Canadian Megan Metcalfe, who is the fastest of the starting field. At the Marathon, Mexicans entries also hold the best times. María Elena Valencia has run 2:31:16 at Torreón on 4 March 2007. Jessica Rodríguez was second at that race with 2:35:13, and then the rest of the field seems very even. Argentinean Claudia Carmago along with Brazilians Márcia Narloch, the defending champion and Sirlene de Pinho could fight for a place in the podium. 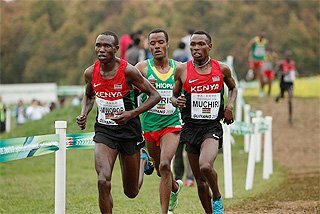 This will be the first time that the 3000m Steeplechase will be contested at the Games. American Lisa Galaviz, fourth at the US nationals, is the fastest entry with 9:43.54. The field for the 100m Hurdles is another one full of talent. Considering the best results of 2007, the top candidates are: Jamaican Deloreen Ennis-London and Vonette Dixon, Canadians Angela Whyte and 2003 World champion Perdita Felicien, Americans Jenny Adams and Damu Cherry and Cuban Anay Tejeda. At 400m Hurdles Sheena Johnson, second at the US nationals with 53.29 is the top entry. Almost a full second behind is 20 year-old Nicole Leach. Winner of the NCAA title, Leach was third at the US Championships and will also represent her country in Osaka. 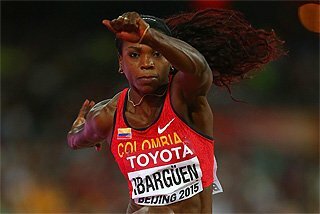 Former 1999 World Champion, Cuban Daimí Pernía, the Games record holder, will also compete but her current form is uncertain. 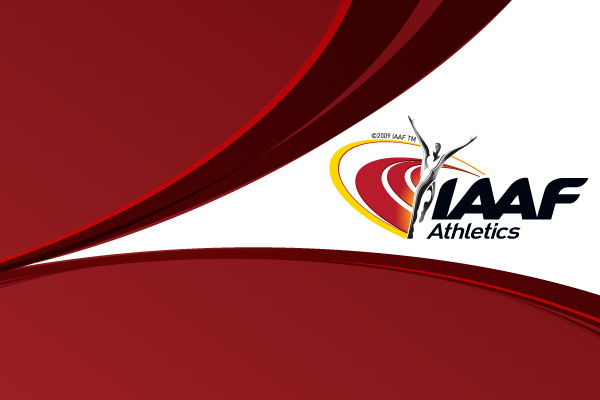 Top entries in the High Jump are Mexican Romary Rifka and Canadian Nicole Forrester, while at Pole Vault, Brazilian Fabiana Murer will test herself against Americans Chelsea Johnson and Lacy Janson and Canadian Dana Ellis. On the shoulders of Maurren Maggi and Keila Costa, Brazil is hoping for more than 2 medals in the Long and Triple jump. Maggi has reached 6.94 and 14.44 this season, while Costa jumped 6.88, 14.57 (South American record) and has a wind-aided Triple of 15.10. Their biggest rivals will be Trinidad and Tobago’s Rhonda Watkins and Jamaican Elva Goulbourne in the Long Jump and Cubans Yargelis Savigne and 2003 Games champion Mabel Gay in the Triple. Historically Cuba has been a great force in the throws, but its supremacy is not so clear for Rio. In the Shot, there will be a lot of tough competition for reigning Games and 2004 Olympic champion, Yumileidi Cumbá. Cuban Misleydis González, American Jill Camarena and Trinidad and Tobago’s Cleopatra Borel-Brown have putted further than Cumbá in 2007. 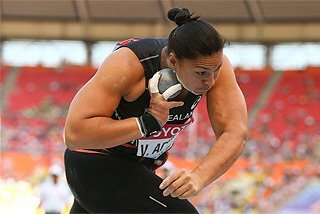 American Suzanne Powell is the favourite in the Discus with 5 throws over 65m in the season, topped by a best of 67.67. Cubans Yania Ferrales and Yarelis Barrios shall also be in contention. In the Hammer, Cuban Yipsi Moreno, the 2001 and ’03 World champion should win the title for her second time, after improving her own CAC and national record to 76.36 last 17 June. 1-2 at the NCAA Championships, Argentina’s Jenny Dahlgren and American Brittany Riley shall fight for the silver alongside Cuban Arasay Thondike. Javelin World record holder and 2004 Olympic campion, Cuban Osleidys Menéndez, surprisingly doesn’t start as the favourite in Rio. 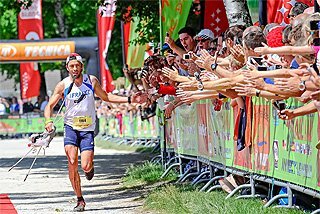 Based on performances from 2007, Menéndez has compatriot Sonia Bisset and US Kim Kreiner ahead of her. Canadian Jessica Zelinka, fourth in Götzis with a national record of 6343, is the Heptathlon gold medal candidate. American champion Hyleas Fountain and Cuban Gretchen Quintana are her main rivals. In the 20km Race Walk, the top starter is American Teresa Vaill. Her main opponents are Salvadorians Verónica Colindres and Pan American Cup winner Cristina Esmeralda López, Ecuadorian Miriam Ramón and Colombian Sandra Zapata.